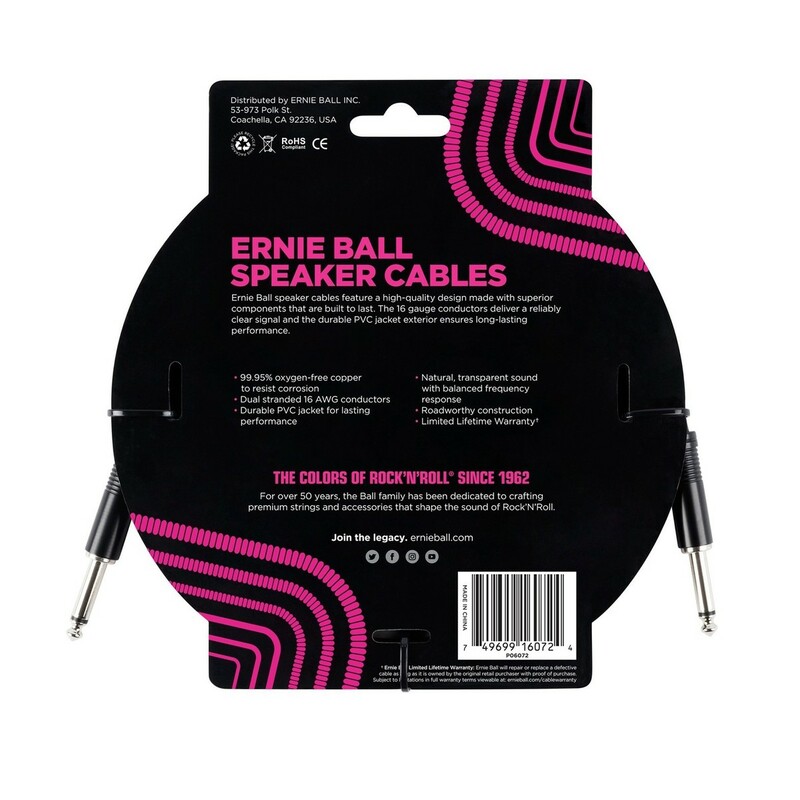 You can always rely on this to deliver natural, transparent sound. 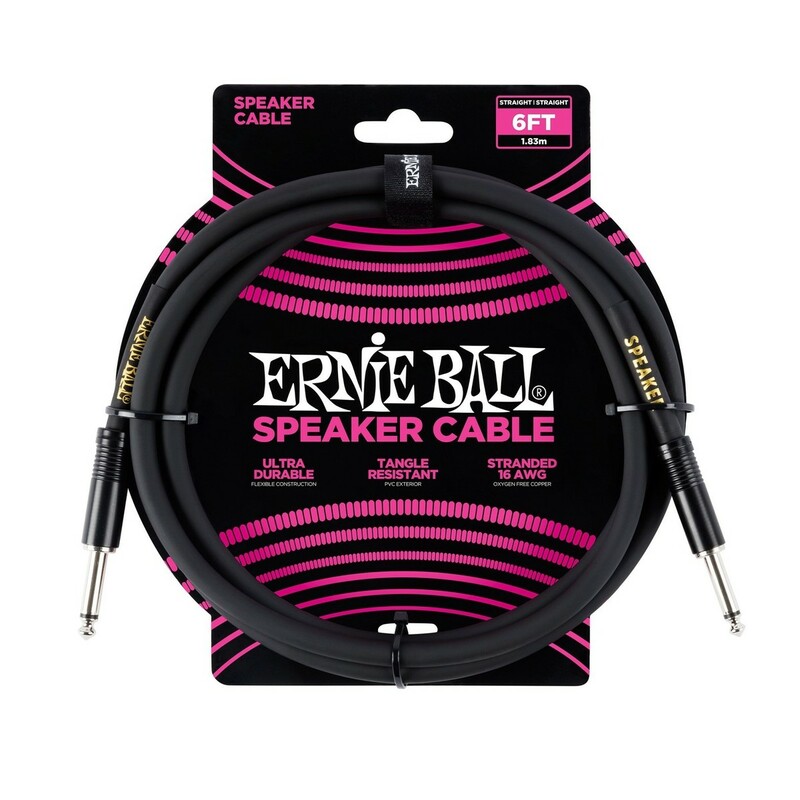 The Ernie Ball 6ft Straight-Straight Speaker Cable, Black is built to last and produce reliable, clear sound. It's durable and long lasting. The PVC jacket keeps it flexible and strong, and also resists corrosion so it will always give you top performance when you need it. Never worry about it getting tangled either. The Ernie Ball cable is tangle resistant.